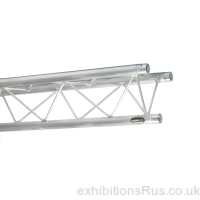 System 35 Aluminium alloy lighting truss. 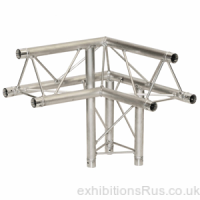 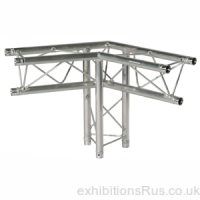 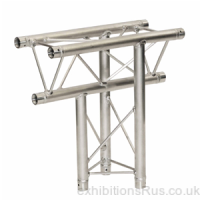 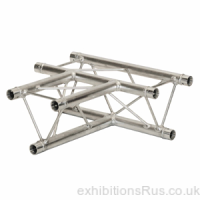 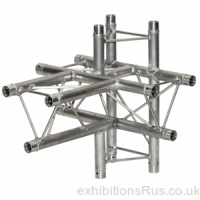 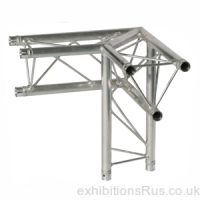 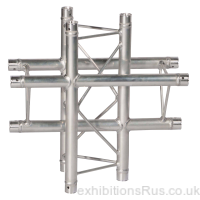 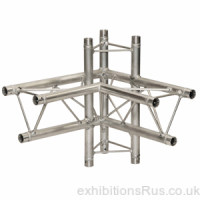 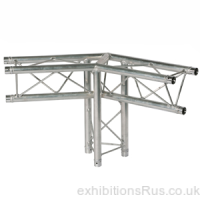 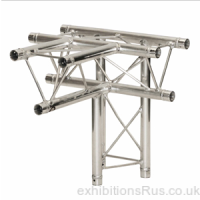 Easily extend or build a custom made lighting truss for your exhibition or event area. 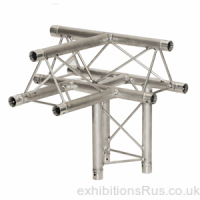 System 35 is a precision gantry system, extruded 35mm tubes with machined ends. 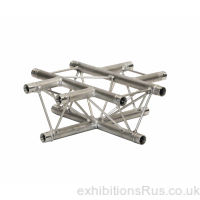 The triple tubes are 35mm diameter with a 1.6mm wall thickness. 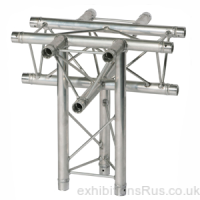 Fitted with a machined conical end and internal connector. 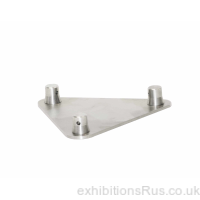 Once in place any deflection is undetectable, the joints are secured with a tapered pin and a safety clip making self build fast and easy, no nuts and bolts, no spanners. 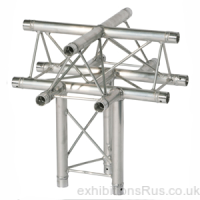 A Trio trussing system is suitable for applications at home, in exhibition halls and permanent installations too, everything from shopping centers, racing circuits, discos and film sets. 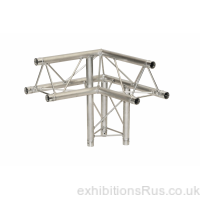 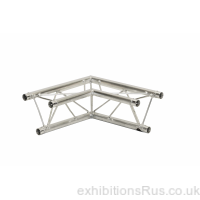 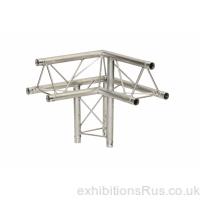 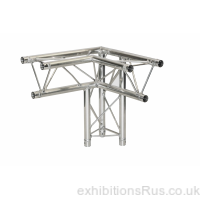 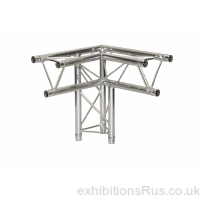 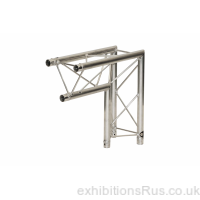 Both elegant and functional, a smart aluminium quality truss range that will give you years of reliable service and high performance. 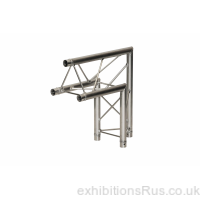 S35T39 Apex up T Junction. 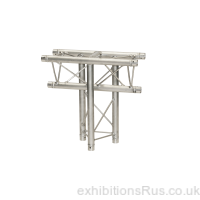 S35T42 4way Trio Gantry Junction. 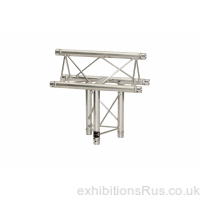 S35T51 5Way Lighting Gantry Junction. 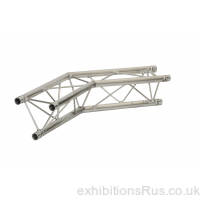 S35T53 5 Way Trio Center Leg Junction. 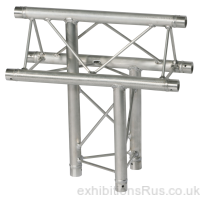 S35T22 Special 3 way junction.